Evy Peña - Centro de los Derechos del Migrante, Inc.
Evy Peña is CDM’s Communications Director. She holds a bachelor’s degree from Georgetown University, where she majored in Comparative Politics with a focus on Latin America and the Middle East. 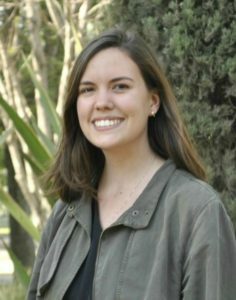 Prior to joining CDM, Evy worked in a communications consultancy, designing and implementing strategies for transnational companies and nonprofits regarding regulatory affairs, trade and labor disputes, as well as sustainability initiatives. In addition, she has analyzed marginalized groups and exclusive policies in Latin America as a research assistant and has worked as a reporter for the daily El Norte, covering arts and culture in her hometown of Monterrey.